MOFLON takes pride in our research and development division which consists of more than 25 of our top employees, including five senior engineers, who have had over ten years of experience in the slip rings & rotary connnectors field research. 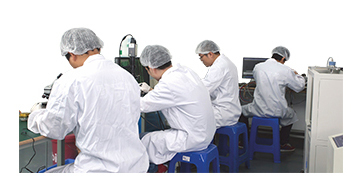 Working side by side with the most current industry developments, we are able continue our growth in a leadership position in the slip rings industry. The dedication we have to obtain the most advanced technology from our R&D (Research and Development), will enable us to continue of the path of further expansion to uphold the advantage over our competition so that MOFLON will be able to meet current and future demand for much needed power supply by introducing newer up to date industrial slip rings products available.